Kate Johnson is a trusted patent litigator known for her efficiency and quick-thinking. 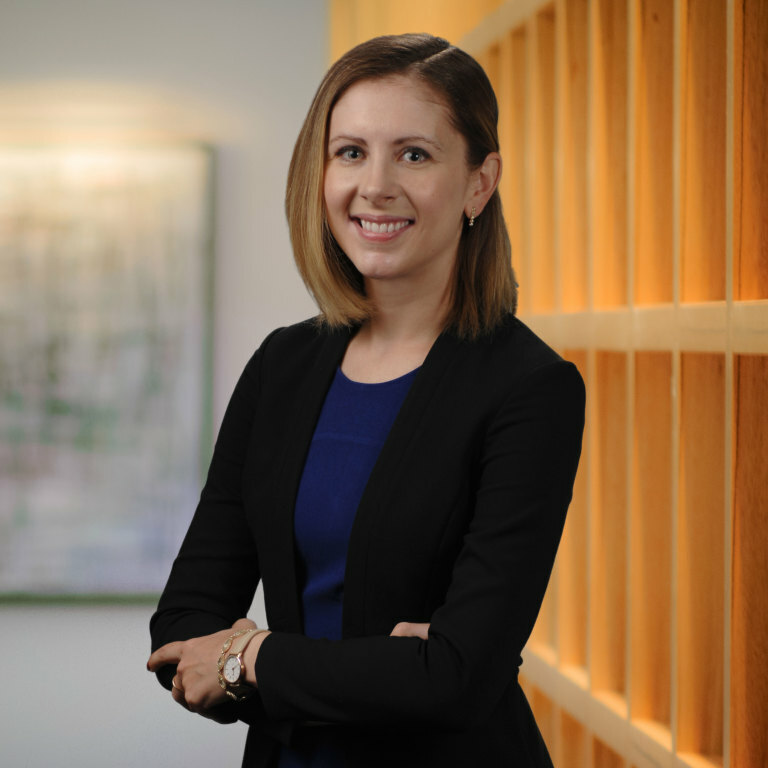 She advises clients and litigates cases across a variety of technical fields, including Hatch-Waxman litigation and other pharmaceutical matters, automotive parts, medical devices, chemical processes, and nutritional compositions. Kate has represented numerous clients in federal district courts, US Patent and Trademark Office proceedings, including inter partes reviews (IPRs), appeals before the Federal Circuit, and International Trade Commission investigations. She is experienced in many aspects of litigation including pre-suit counseling and strategy, case management, expert and fact discovery, witness preparation, dispositive motion practice, oral argument, and claim construction. Kate is a Registered Patent Attorney with the US Patent and Trademark Office. Representing Rhodes Pharmaceuticals L.P. in a Hatch-Waxman patent litigation involving Aptensio XR®, a drug used to treat ADHD. Representing American Axle & Manufacturing in a multi-patent infringement suit against one of its competitors involving automotive drive line noise and vibration technology. Represented Purdue Pharma in a patent infringement suit relating to abuse resistant pain medications. By: Harold H. Fox, Ph.D.